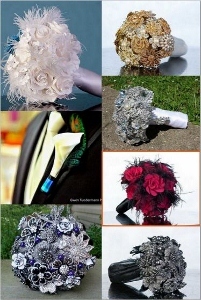 Posted on April 5, 2012, in boutonniere, EdenGallery, fascinators, giveaway, Jewelry, steampunk and tagged April Giveaway, boutonniere, Fascinator, giveaway, jewelry. Bookmark the permalink. 24 Comments. I love the Vintage Style Beaded Headpiece in silver from Eden Gallery! For our Steampunk Wedding theme the boutonniere (http://www.etsy.com/listing/86867415/steampunk-brooch-boutonniere-or-pin-eden) is so beautiful. My fave item from the Eden Gallery shop is the Truly Outrageous pink powder necklace! I ❤ mine! I love the Sirius black portrait! Congrats to aikchien for winning this month’s giveaway! Look for May’s giveaway on Thursday! We’ll be in contact with you shortly with all of the details, aikchien! Thanks, Clay Bouquet Shop dan Eden Gallery Art! I’m super happy to win this exquisite hairpiece!